ADL praises Apple for removing an app that Hizbullah was advertising on iTunes promoting streaming video from Al-Manar. The Anti-Defamation League (ADL) praised Apple Inc. on Tuesday for removing an application that the Hizbullah terrorist group was advertising on the iTunes store promoting streaming video from their Lebanon-based satellite network, Al-Manar. The app, which had been advertised on the air by Al-Manar, directed users to various broadcast content, including speeches by Hizbullah leader Sheik Hassan Nasrallah. 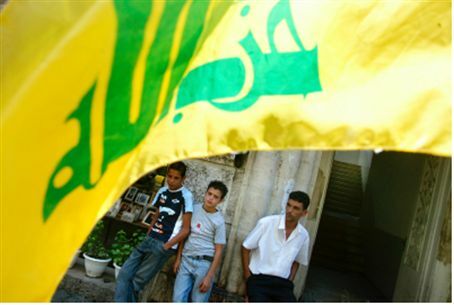 Hizbullah is a U.S. designated Foreign Terrorist Organization, and Al-Manar was included on the State Department's Terrorism Exclusion List in December 2004. "As the media arm of the terrorist group Hezbollah, Al-Manar is a source for anti-American and anti-Israel propaganda and messages of hate and violence," said Abraham H. Foxman, ADL National Director. "We commend Apple for removing the app from the iTunes store and appreciate their vigilance in ensuring that terrorist-affiliated organizations will not have access to Apple's customers." The app first appeared on July 25 and was advertised on the web site of Al-Manar TV. It had been removed by July 29. “Al-Manar broad­casts the ter­ror­ist group's mes­sages of hate and vio­lence, dis­sem­i­nates anti-Semitic and anti-American pro­pa­ganda and glo­ri­fies sui­cide bomb­ings to mil­lions of view­ers 24 hours a day, seven days a week,” according to an ADL press release. Al-Manar has a pres­ence on other inter­net plat­forms as well, includ­ing a Twit­ter account with over 17,000 fol­low­ers.